Now onto the crafts. 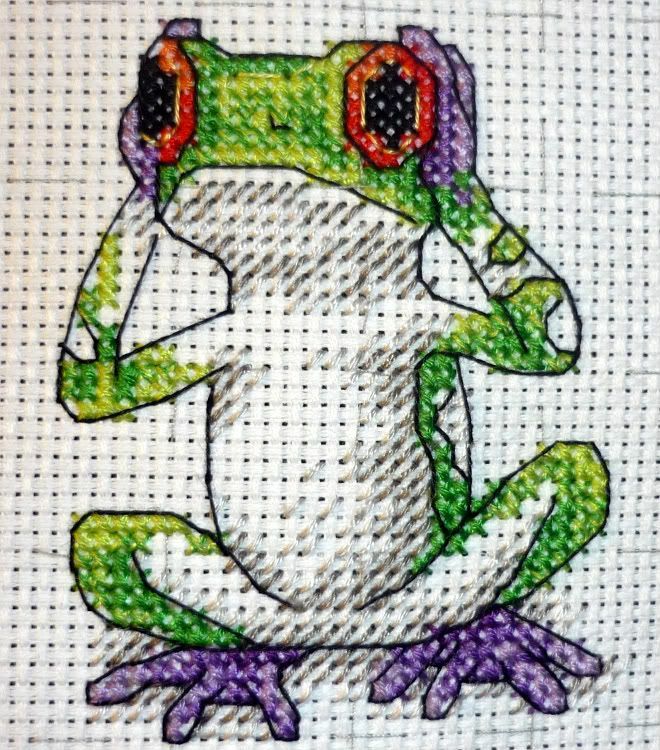 After I got home from softball and recovered from the mud I picked up my Tree Frog Trio and I have now finished the Hear no Evil frog. I have a couple of photos of the process, photos before and after the back stitch. It is amazing the difference back stitch makes to a project. As mush as I dislike back stitching over every other stitch, I love watching the way the designs jump when you put the back stitch around them. Does Anyone else find this aspect really makes a design pop? 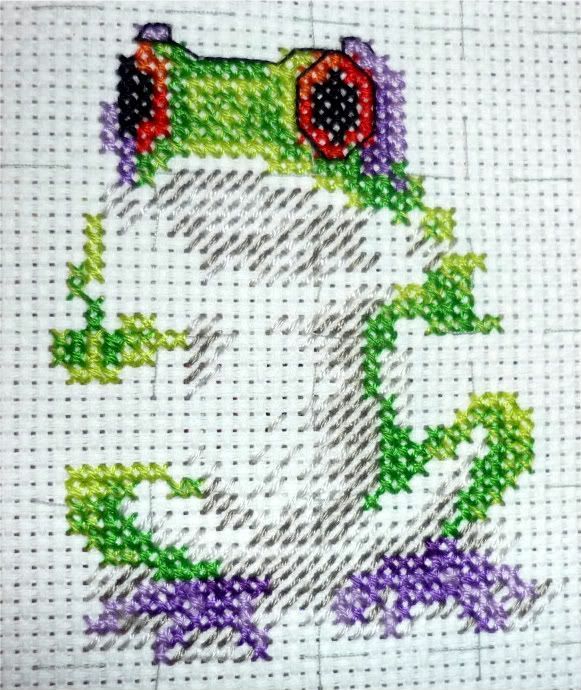 I'm very happy with this frog and it really didn't take very long to do. Also very late last night I managed to finish quite a bit of Land In Sight. 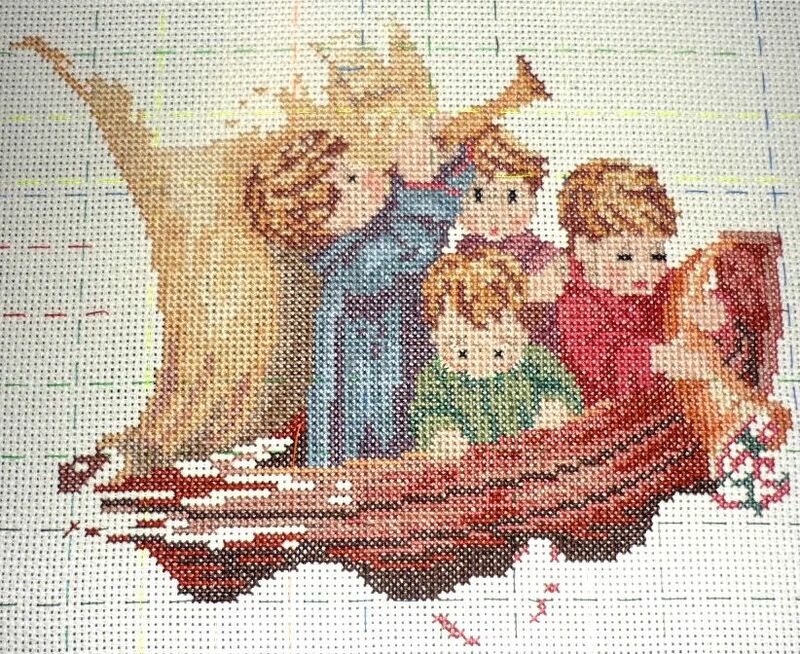 A lot of the boat is filled in, not the stuff to the left and it needs to have a lot more done, of course.I'm going to keep going with the blue soon, just haven't worked on this one today. 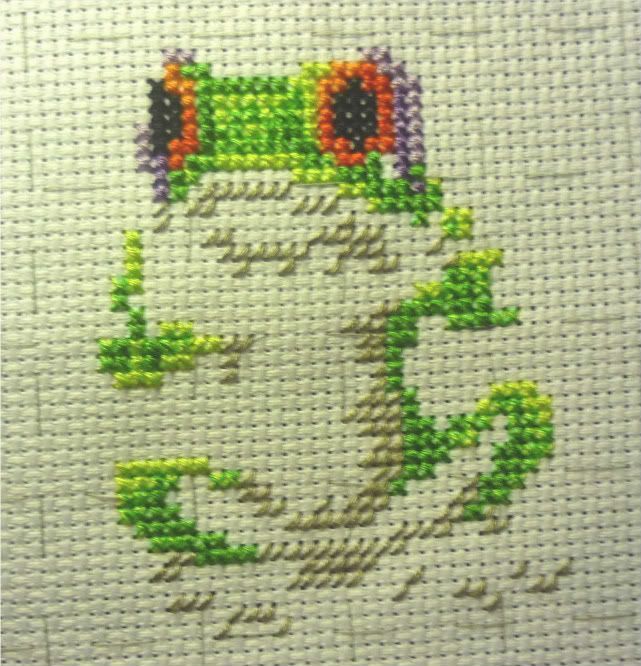 I love your little tree frog - he's so cute! I agree with you about the back stitching - it's a pain, but what a difference it makes! :D I've been following your blog for a while. I love the thistles. They are pretty awesome.